The Night of Drama proved yet again to be a magnificent night of entertainment. The school won many awards also at the Cork Dramafest. Above is a picture of the Drama Group who took part in the events. Thank you to the whole school community for raising almost €1,000 for Pieta House during the Positive Mental Health Week. The Student Council organised a non-uniform day on the Friday before Easter where the theme was the wearing of the colour yellow and the focus was on helping and understanding others and getting people to laugh and smile and to appreciate positive things in the simple everyday life of the school. Friday, 29 November 2013 20:05	Behind the Scenes Ltd.
1st Year parents are invited to attend a talk on positively managing the transition from primary to secondary level by Pauline Baston entitled "Moving Upwards and Onwards". The talk is organised by the Coláiste Choilm/Gaelcholáiste Choilm Parents' Association and takes place on Wednesday September 18th at 7.30pm. Drama Exchange to the U.K.
18 students of TY Drama are off to Coventry in the UK on Friday morning. While there, they'll be getting a civic reception from the Mayor of Coventry, visiting the Royal Shakespeare Company, having drama workshops on the theme of emigration, and performing their production of Tom Murphy's Whistle in the Dark (about 5 brothers who emigrate from Ireland to Coventry). The show is in preview in L3 on Weds and Thurs evening this week, at 7:15 (finishing at approx 9:45). The Coventry Students will be in Ballincollig in late March, when they'll display a multimedia project about the lives and times of the Irish in Coventry. The exchange is being funded by grants from the County and City Councils who have been very generous in their support of the project. Coláiste Choilm featured in the "Arts Tonight" show on RTÉ on Monday 13th May where students from the school along with our former Principal Mr. Pat Kinsella were involved in a discussion on the new Arts in Education Charter. The students spoke of their involvement in Arts , Theatre and Music projects encompassing school Choirs,the annual school Musical, the Trad Group, the TY Creative Enagement Project, the Drama Group and other ventures. The article about the program on the RTE website is available here. 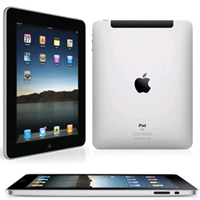 Mr. Mulcahy has created a support website for student,parents and teachers involved in the iPad scheme.